Creating great places can start with something as simple as planting flowers. Downtown Grand Rapids wants people to feel welcome, safe, and even healthier through greening and beautification efforts. There are many elements that go into creating a sense of place, that strong sense of identity of character that sets one area apart from everywhere else. In downtown Grand Rapids we have buildings that are historic and beautiful. The focus of the downtown streetscape is oriented to pedestrians, making it a comfortable place to walk. Parks and gathering places, such as Rosa Parks Circle, as well as flowers and litter removal, are done to show that we value the West Michigan community. People are encouraged to interact through wide sidewalks, benches and sidewalk cafes. The art and culture of our community is reflected through public art and statues, as well as the many exciting events that take place here. You can see the history and heritage of Grand Rapids in our cultural institutions, our architecture, and our businesses. Yet one of the simplest and yet effective things we do to make downtown Grand Rapids distinct and compelling is greening and beautification. I write this as a non-gardener: while I like to look at flowers, I also have great appreciation for the economic benefits of greening. I am not discounting the attractiveness factor- the aesthetics are important. A city has to look good and feel good if we are going to be able to attract people and investment. 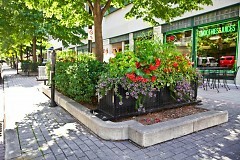 We are currently filling and maintaining over 125 planters with flowers in the downtown. Flowers are a 24/7 signal to the community that we welcome them and take pride in giving them a pretty downtown. By putting in flowers we tell the people of this community that they are important, and they are worthy of beauty. In return, we find that West Michigan is proud of Downtown Grand Rapids. Plants are tiny footsoldiers saying the downtown is safe and making people feel comfortable. Greening efforts create a sense of comfort, a perception safety- and when that comfort helps to fill the sidewalks with people it leads to the reality of a safer place. 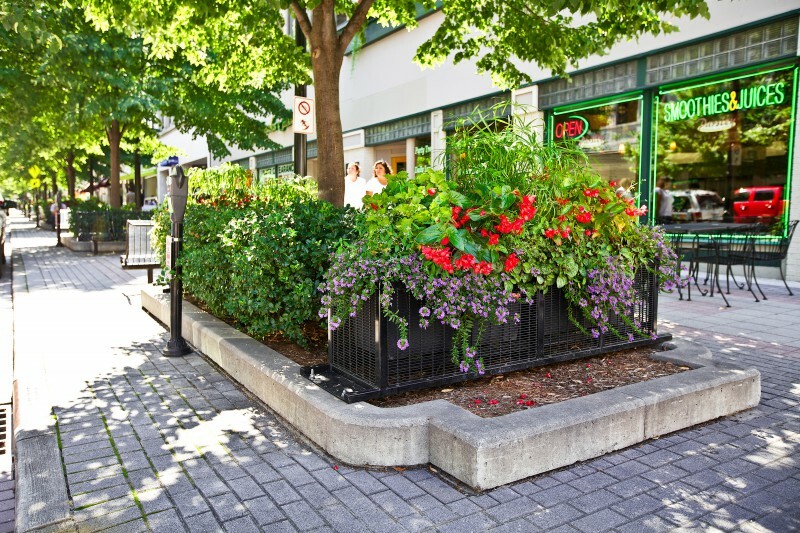 We strive to attract a diverse, multi generational audience to the downtown, and one of the benefits of greening is that it is democratic – it appeals to everyone. Greening crosses demographics, because almost all of us prefer to be in a place that is attractive, comfortable and welcoming. Greening also provides concrete benefits. By watching the example of other cities, we learn of increased economic returns. For example, Bryant Park in New York City suffered from years of crime and decline in the 1970’s and 1980’s. It was renovated and by the end of the 1990’s the park was enjoying 4,000 people in the area on sunny days at lunch time alone. It was not only good for the people in the area; it was good for business. Real estate values increased, as did rent and occupancy rates. Flowers can not only make an area feel safer, they can decrease crime. A community in Tokyo created a program called Operation Flower, and burglaries were reduced by 80%. A University of Washington study on the impact of trees and landscaping in business districts found that shoppers will spend more when they’re in a pleasing natural setting. Consumers were willing to pay 9% to 12% more for goods and services in an area with a tree canopy, they will travel a greater distance and they will stay longer. And, of course, the environmental benefits are almost unlimited. Trees can reduce heat buildup, decrease runoff and enhance night time cold downs; trees naturally remove pollutants from the air. More green space in the city can help regulate air quality and climate. There are many endless reasons to put have flowers and greening in the downtown, and in every community, but as they say, the proof is in the pudding. We at the Downtown Alliance and DDA invite you to come downtown and see it for yourself. Enjoy the beauty as you attend Blues on the Mall or Tuesday night Swing Dancing or when you meet friends for dinner at a sidewalk café. 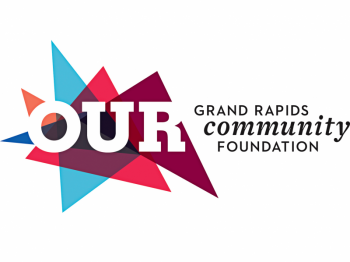 Downtown Grand Rapids belongs to everyone; make it your own!